I’m so so sad that the Happy Birthday Die is retiring, this is hands down my most used die, its so perfect for quick and gorgeous birthday cards. If you just buy one thing off the retiring list then make this the product, I think its a must have and will never part with mine. For this quick birthday card I used the Best Route DSp as inspiration for a colour palette taking Blueberry Bushell as my main colour, the perfect boy birthday blue in my opinion and mixed it with some Mango Melody and Call Me Clover. I finished the card off with some balloons from Birthday Banners another stamp set which is leaving us at the end of May. This card is for my godson who is ten tomorrow, I hope he likes it. I haven’t made many blue cards recently so decided to use Blueberry Bushel and Pool Party as a base for todays card. I pulled out Jar of Love which is one of my oldest stamp sets but also one of my most unused sets, I just find it hard work. Any ideas greatly appreciated! Anyway I decided to use the little fish stamp and create an underwater type card. For the background I ran the Dot to Dot Textured Impressions folder through the Big Shot with some Pool Party cardstock, I love how this created a bubbly background. For the centre of the card I stamped out the fishes in Pumpkin Pie and then cut masks out of post-it notes with the matching die from the Everyday Jars Framelits. I’d stamp and cut out three fish before I realised I didn’t need the stamping on the post-it notes, oops!! After covering all the fish with their little masks I sponged over a layer of Pool Party ink. 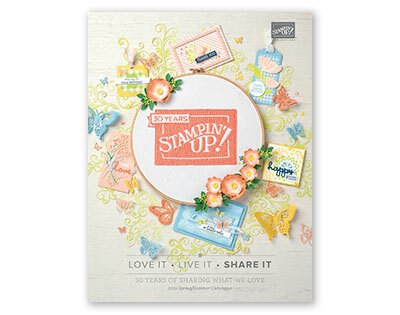 I added a little greeting with the Classic Label punch and dave one fish some dimension with a Stampin’ Dimensional. For a final touch I added three little dots of the Fine-Tip glue nest to each fish which when complely dried looked like bubbles coming out of the fish, sadly these don’t show on the photos. 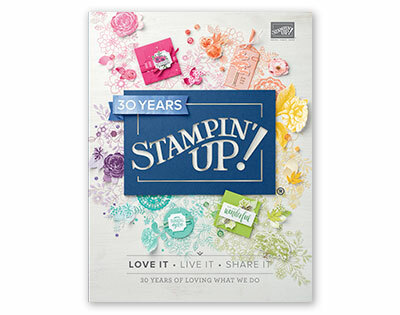 I’d love to see your creations with this stamp set as its one I struggle with.